“The air was full of cement, cement and dust. 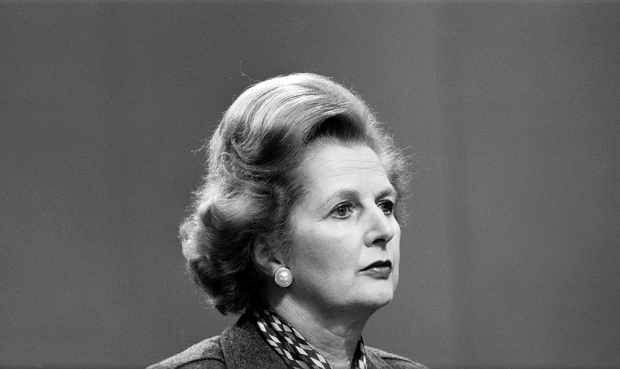 You know, it was grit in your teeth,” Margaret Thatcher remembers of the immediate aftermath of the explosion which the IRA hoped would assassinate her and most of her cabinet in 1984. “But I have remained forever grateful that the lights were on, on our floor and as we went down,” she adds. 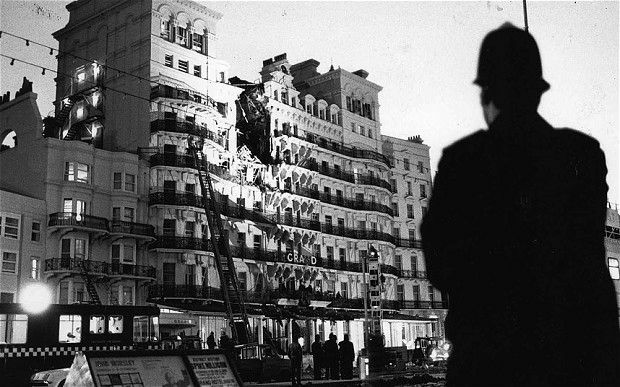 The bomb which sent the cement and dust flying killed five people and wrecked much of Brighton’s Grand Hotel. It represented a lethal republican strike against the heart of the British establishment. Yet within a few years the Thatcher government would be secretly in contact with the IRA as part of Ireland’s extraordinary peace process. And less than two decades later the man who planted the bomb would argue that it was a necessary episode in that process. But in the wake of the explosion on October 12th, 1984 there was no thought of the future: all thoughts were focussed on who had died and who had survived, and who might be injured and trapped beneath the mounds of rubble that had generated the cement and the dust. When the bomb went off at 2.54am most of the hotel’s occupants were asleep, but Thatcher was working in the sitting room of her first-floor suite. She and her staff and advisers had just finished the speech she was to deliver to the Conservative party conference later that day, and the final version was being typed in the next room. She was joined by her private secretary, Robin Butler, who years later as cabinet secretary was to play an important part in the Irish peace process. Despite the late hour, he had brought her a memo which for some reason Number 10 felt required urgent attention: it was a paper from Michael Heseltine about what would happen to the Liverpool Garden site after the Garden Festival. As Thatcher recalls events, “I looked at the papers very quickly and decided, and just as I handed them back to him there was this loud blast.” At the time no one knew it in the confusion, but the IRA bomb had blown out the front wall of the hotel, causing some floors to cascade down, destroying the roof and bringing down a large chimney stack. The rubble fell to the basement, filling it and the two floors above. The device that did such damage had been planted almost a month earlier by Belfast IRA member Patrick Magee and another republican. They had stayed in room 629, checking in on September 15th and leaving on the 18th. He signed the register as Roy Walsh, giving a false address in London. During their stay the pair carefully concealed a bomb containing up to 30lb of explosives in room 629’s bathroom. The device had a long-term timer which set it off at 2.54am, the intention clearly being to kill as many as possible of the hotel residents, many of whom were attending the annual Tory conference in the seaside town. A few hours later millions watched on television as rescue workers gingerly brought injured minister Norman Tebbit out of the shattered hotel. There were heroics among the rubble. One consultant surgeon who rushed to the scene worked with masonry falling around him, jolted by electric shocks caused by water cascading on to live cables. It quickly became obvious that the bomb had claimed lives. A fireman who saw a hand sticking out of the debris felt for a pulse but found no sign of life: it was a Tory MP, one of two men and three women killed in the attack. Dozens more were injured. The bombing had its effects on the prime minister on a personal level: she was always grateful that the lights in the Grand Hotel had stayed on, and was haunted by the idea of being left in the dark in the event of another attack. For months afterwards she kept a torch by her bed when staying in a strange house. She was adamant, however, that the Brighton attack would not deflect her one millimetre from her course of action. 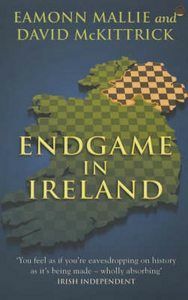 She was at the time in the course of a series of conversations and contacts with the Irish prime minister of the day, Garret FitzGerald. He condemned the bombing, both publicly and in a private letter to her. She continued the contacts, and at their next meeting insisted it would not change her views. In the year of the hungerstrike Margaret Thatcher had been prime minister for only two years. She had not quite solidified her reputation as the Iron Lady, though this dispute would help do so. To her mind the issue was stark and straightforward. IRA and other republican prisoners had for years been protesting that they were different from “ordinary criminals” and demanded to be treated differently. In the course of the dispute they had disrupted prison life while on the outside the IRA had killed a number of prison officers in support of the campaign. David Goodall, a senior British civil servant who came from a Catholic family with Irish connections, described Thatcher’s general approach to Ireland. He remembered: “There was a dinner in 1982 and the guests left and Mrs Thatcher said to me to come and have a drink. So we went and sat down with her private secretary, just the three of us. The conversation turned to Ireland and it turned out that she had read quite a lot about the Irish problem. People said she didn’t know anything about it but actually she did know quite a lot about it. But Thatcher, as her private secretary Charles Powell was to explain, was wedded to tackling the problem through security methods: “The issues of alienation of the minority, which Dr FitzGerald used to talk about so much, would disappear if terrorism could be eliminated. Her thinking was based crucially on getting rid of terrorism.